Just a couple of housekeeping notes…the last 3 weeks of Lunch in the Garden are now posted for your enjoyment. This week we are featuring lemongrass, so you really shouldn’t miss out on that! Our only harvest from the Family of4 Garden this week was a few measly cherry tomatoes, a package of basil, and about 1 lb of miscellaneous peppers (jalapenos, chilis, and banana peppers). That puts our yearly total at $215.96. 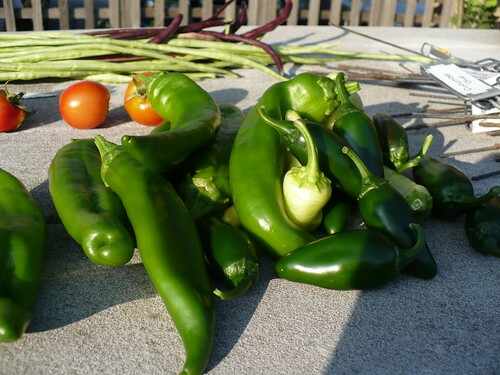 Posted on September 1, 2010, in Family of 4 Garden and tagged cooking, peppers. Bookmark the permalink. Leave a comment.